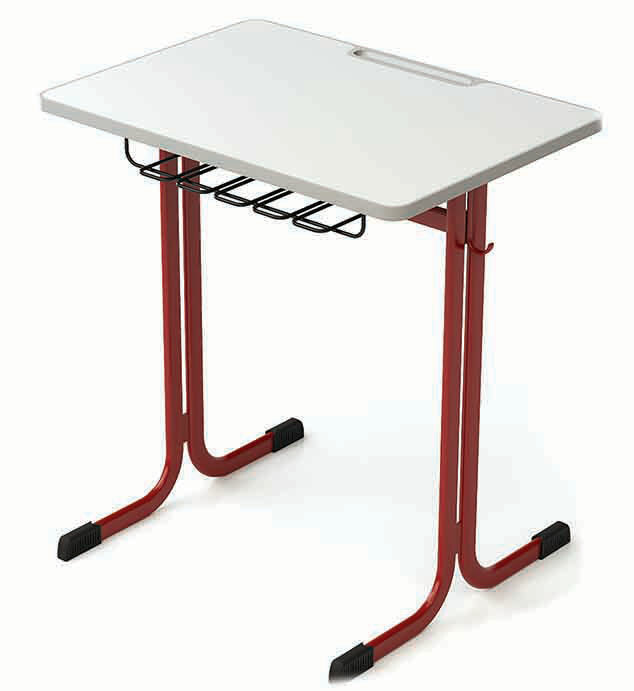 This new student table in a highly stable tubular steel design. The advantage of this construction is the large amount of legroom due to the absence of obstructing legs on the table. 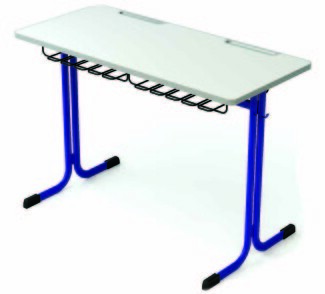 The table top is made from MDF laminated at a high temperature, it requires no maintenance & is easily cleaned. Edge is made from injected PU with seamless moulding, including pen grooving .This guarantees a long service life .Can be supplied in single or two-seater versions and with storage shelves or hooks for briefcases.